Dutch architect and designer Gerrit Rietveld after whom the Amsterdam art school Gerrit Rietveld Academie has been named, designed the Red and Blue (in 1917) and Zig Zag (in 1932) chairs which are world famous. Red-Blue and Zig Zag are still being produced by Cassina in their Master “I Maestri” Series. In 2004 a grandson and a great grandson of Gerrit have formed a company Rietveld by Rietveld to start again with the production of several of Gerrit’s furniture designs, because as they say: There is more to Rietveld than the Red-Blue and ZigZag only: All in all there are 215 Rietveld furniture designs. So there remains a lot to do for them. 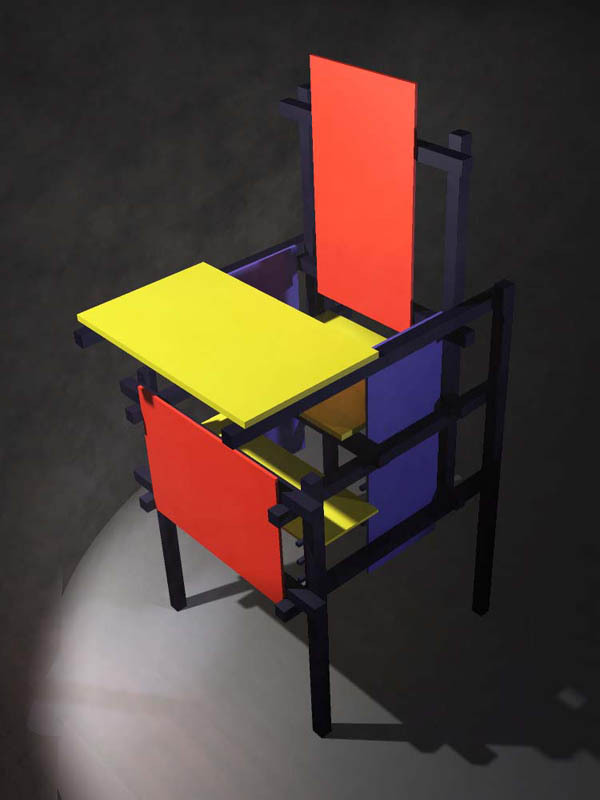 Did Jenner make a Rietveld Babychair for his daughter, or a *rendering* of one? Next Next post: The Cantilever Chair: By Mart Stam, by Ludwig Mies van der Rohe or by Marcel Breuer?